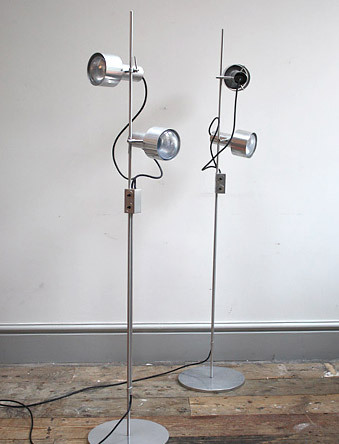 A TA floor lamp designed by Peter Nelson for the Architectural Lighting Company. 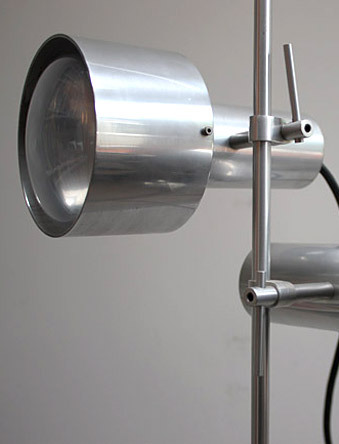 A classic piece of British design, beautifully and precisely made out of aluminium. 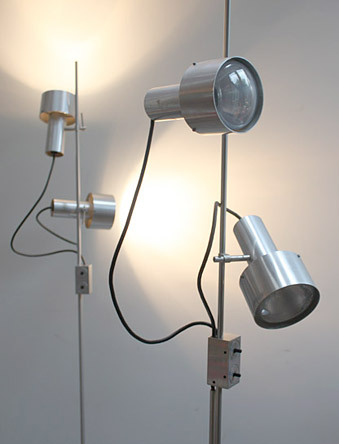 The position and angle of the two lamps can be fully adjusted. In good condition with some scratches to the base.